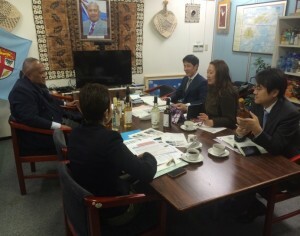 The Director of Inter Actions Corporation (IAC), Mr Nobuo Kiji held consultations with HE Ambassador Isikeli Mataitoga on Thursday 26th February 2015, to discuss on project areas IAC is involved in and discuss possible investment cooperation. 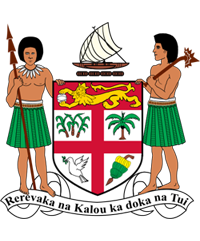 In December 2013, PM Bainimarama commissioned the Rukua Village Solar Grid Project which was undertaken by Inter Action Corporation and the Department of Energy in Fiji. IAC also undertook a project for setting up 2000 Solar Home Units in the Solomon Islands, under the PEC program. It was informed that IAC Group is able to create sustainable circulation in the society. Further elaborating on food waste and cow dung, which can be sources of fertilizer or energy for Agriculture and Life. Renewable energy such as solar power, wind, geothermal and biomass were a few to name. 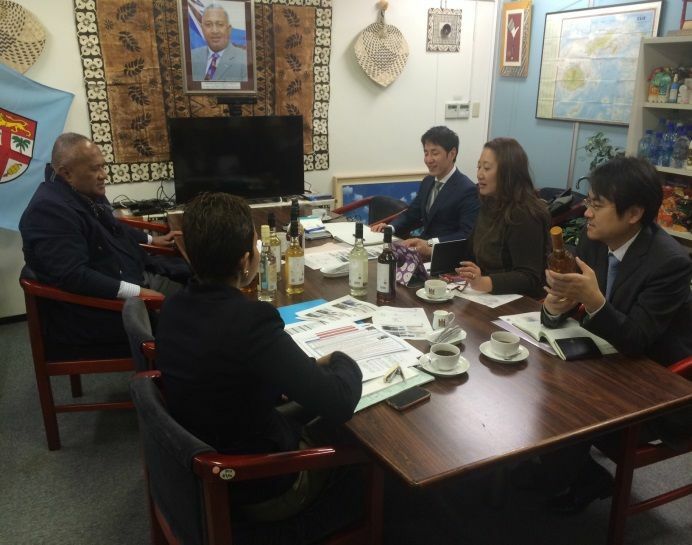 IAC has also recently had an M&A with a local company in Kagoshima, Kyushu for its geo-thermal business activities, emphasizing on the food waste and cow dung.